Long, cold winters and short, warm and wet summers are typical in this region. During the winter time, freezing winds form the Arctic causes icy cold winter. Temperatures can reach -20 degrees in winter and can reach up to 20 degrees during summer. When compared to others biomes, boreal forest have much less diversity in plant life. The dominant plant is the coniferous evergreen tree. These trees include pine, firs and spruces. These tress have needles rather then leaves. Needles are good at holding water and withstanding during the cold and harsh winters. Animals commonly found in boreal forests range from squirrels and moles to larger animals like moose, elk and snowshoe hare. These animals have thick coats of fur to insulate against the cold. Many hibernate in winter and others migrate to warmer areas. Boreal forests are the largest terrestrial biomes on Earth. 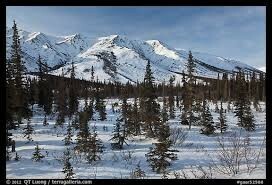 They extend across in a band around North America, Europe, Asia and the southern boarder of the Arctic tundra but boreal forests are mainly found in Canada, Alaska, Russia and Scandinavia. Natural threats towards boreal forests include global warming, fires, acid rain. Increasing temperatures effect the plants and animals as they have adapted to the very cold climate. Acid rain also damages the trees and Eco-system as a whole. Forest fires are common and very damaging but they are necessary to remove dead pine needles covering the floor. Man made problems include logging and exploration and development for oil and natural gas reserves. 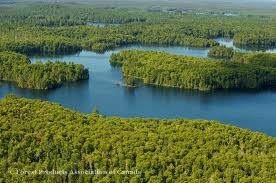 Canada has 30% of the worlds boreal forests. 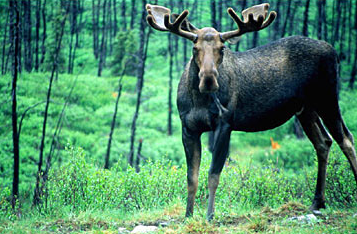 Boreal forests are a habitat for a diverse wildlife. In Canada, the forests are home to over 150 species of different birds, as well as many mammal, insects, fungi and micro organisms. The boreal zone supplies many ecosystem services and goods such as acting as a reservoir for maintaining biological and genetic diversity. It stores carbon, purifies air and water and help regulate regional climates. The forest also provides food and raw material for human use. The forests also provide jobs and economic stability for remote communities. ONly 0.2% of canada boreal forests are harvested each year but it covers half of the countries annual timber harvest.